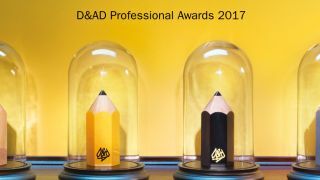 The coveted D&AD pencils are once again up for grabs with the launch of the Professional Awards campaign. The instantly recognisable D&AD Pencil trophy is one of the most revered awards in the industry. If you've always dreamt of winning one, now's your chance as D&AD throws it doors open for the D&AD Professional Awards 2017 entries. Open to work that has been commercially released between 01 January 2016 and 18 March 2017, and produced in genuine response to a client brief, hopefuls have until 15 February 2017 to submit their entries in their original language. Awarded work will be announced during the D&AD Festival 2017 which takes place on 25 – 27 April. Full entry details and criteria can be found on their site. Winning a Pencil is often seen as the highlight of a career, so to mark the launch of the D&AD Professional Awards 2017 the charity wanted to look at what it really means to those artists and creative directors who win. And who better to ask than the people that know the designers best -– their mums. Working for a second year with creative company Lucky Generals co-founder Danny Brooke-Taylor, D&AD sent a film crew all around the world to capture stories that only a mother could tell. "Your mum," explains Brooke-Taylor, "no-one's prouder of you than her. And imagine how proud she'd be if you won a Pencil." Watch the mums share their stories in the video below.